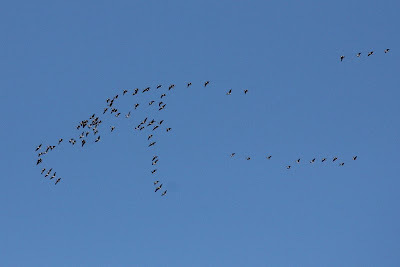 The highlight of the day were the autumns first Pink-footed Geese heading south, 169 all together. 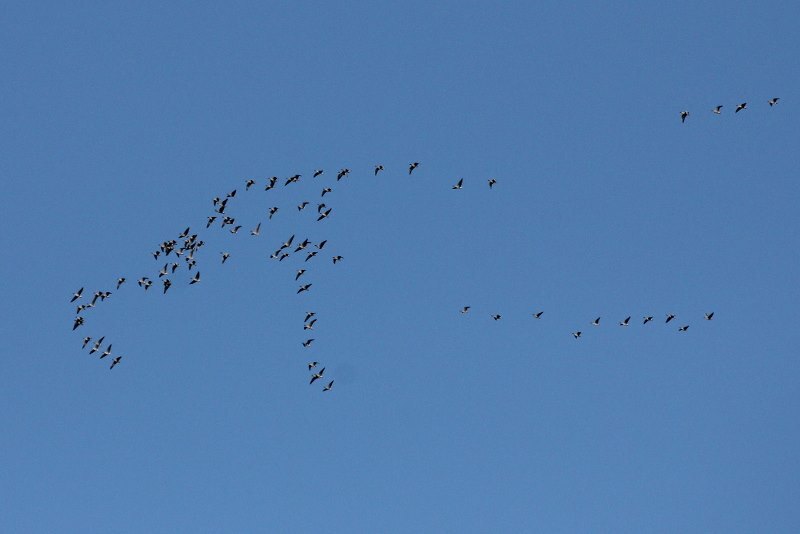 Also on the move (south unless stated) were 3 Red-throated Diver north, 1 Fulmar + 24 north, 4 Cormorant, 1 Shag north, 3 Teal north, 1 Golden Plover, 21 Kittiwake north, 1 Razorbill, 2 Guillemot north, 1 alba, 4 Rock Pipit, 6 Meadow Pipit, 1 Chaffinch and 11 Linnet. Nine Grey Heron were on Johnson's Marsh and one was at Scalby Mills along with 10 Teal, 5 Teal were on Flotmanby and a Ringed Plover was at Wykeham South Lake.